SQL is a powerful language, and tool, for data analysis and data handling. In this bootcamp, youll dive deep into SQL syntax and database structures, while applying your new SQL skills to address business problems. 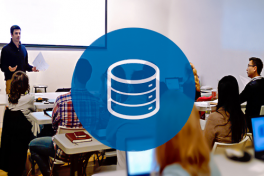 This bootcamp will take absolute beginners through the basics of SQL to an ability to write queries with confidence. Takeaways Understand SQL vocabulary such as tables, schema, functions and JOINS. Understand the differences between different data management systems for SQL databases. Create basic SQL queries by applying Boolean logic, sorting functions, and commenting. Apply SQL aggregate functions [MIN, MAX, SUM, AVG, COUNT]. Use CAST to change a columns type for a query. Use advanced SQL commands [OR, GROUP BY, HAVING] and conditional operators [ =,!=,>,<, IN, NOT IN, and BETWEEN] to filter data. Apply string, date, and math functions to manipulate how data is presented. Apply UNION to tables and columns for merging data. Use JOINS to create relationships between tables to obtain data. Prereqs & Preparation A basic technical aptitude, orientation to computers, and curiosity to learn new tools will make you successful in this bootcamp. No prior knowledge of SQL is required. Prior to class: Download the DB Browser that is compatible with your operating system.